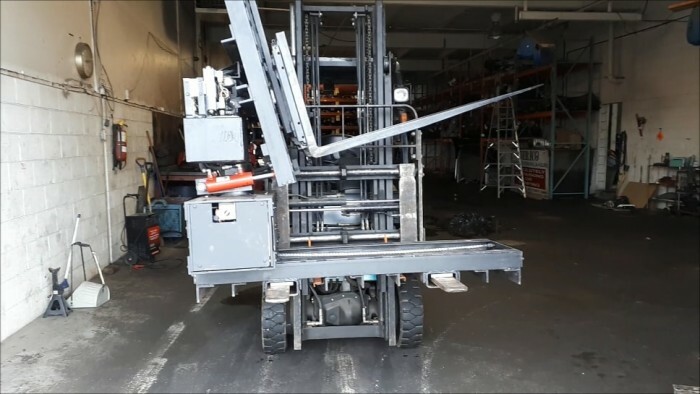 This simple very low cost wireless forklift attachment can convert almost any counterbalance forklift truck to a very narrow aisle turret truck just by carrying it, no connections or modifications to the forklift at all. 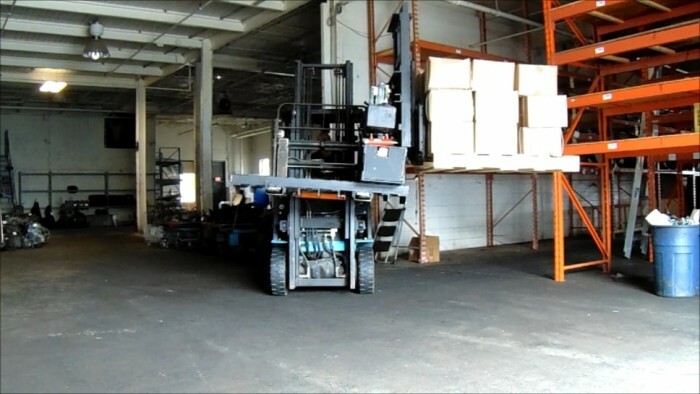 It provides a very low-cost solution for many warehouses and manufacturers who want to use the narrow aisle storage system but can’t afford the expensive narrow aisle turret trucks. 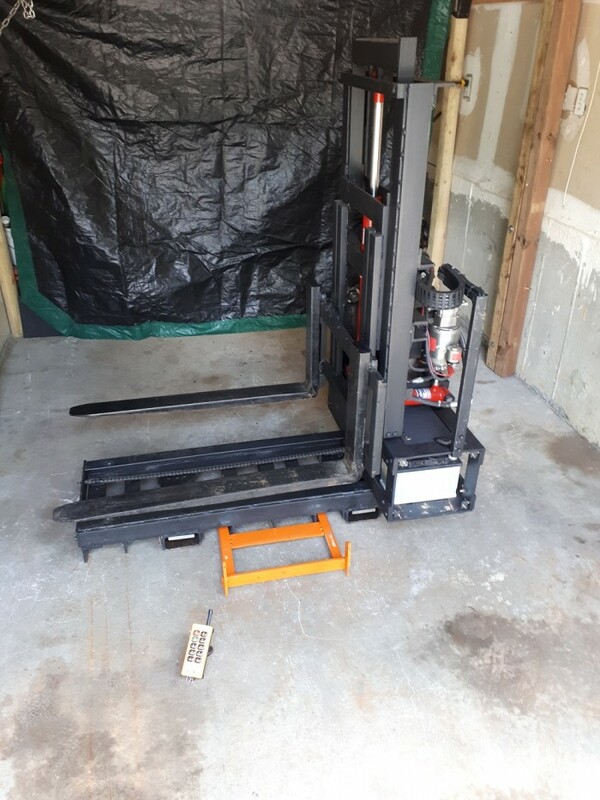 It costs me around 3000 dollars Canadian only to make this attachment. 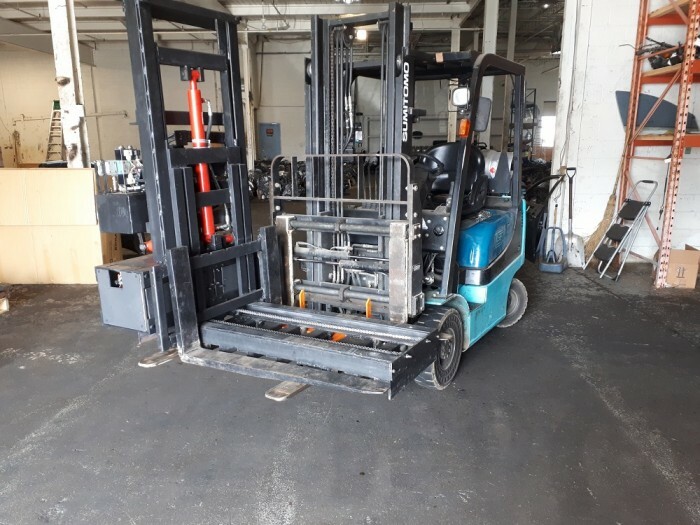 The attachment has a wireless receiver, a rechargeable 12 volts battery and a hydraulic unit so there is no connection or modification to the forklift truck. 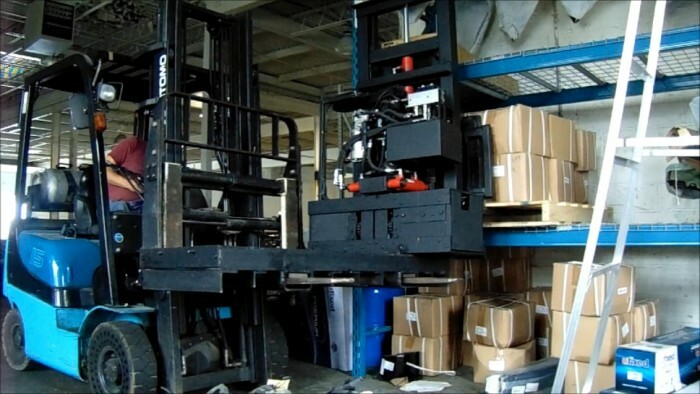 Page created at 2019-04-25 18:13:42, Patent Auction Time.